Book sale in the library. Runs to September 29. 9.30am Celtic Communion in St Mary’s Church. Snowball Whist Drive at Community Centre, 7.30pm. 10.45am - 11.45 Stretch-Fit in the Methodist Church Hall. Details: Jan 0783 333 1149. 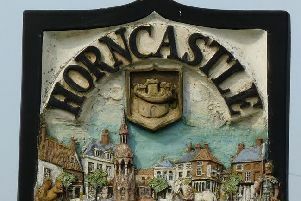 Horncastle Flower Club open meeting in Banovallum School, 7.30pm. National Demonstrator Nigel Whyles - Shaken Not Stirred. Admission £10. 10am Parish Communion in St Mary’s Church. 10.30am Harvest Festival Service in the Methodist Church, conducted by the Rev Bruce Thompson. Auditions for ‘Zorro the Panto’ at the Lion Theatre, 7.30pm. Open to all. 9.30am Celtic Eucharist in St Mary’s Church.